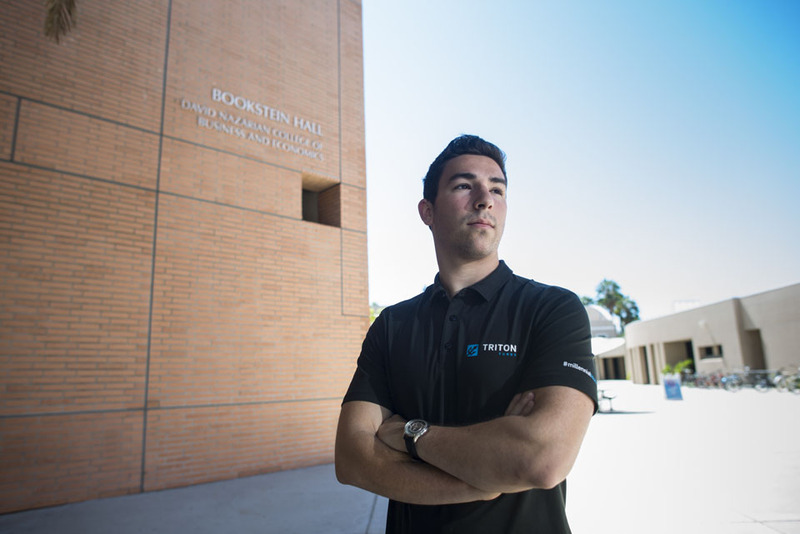 Sam Yaffa, a senior double major in Business Honors and Financial Analysis, is co-founder of Triton Funds, a high finance capital investment company. Triton Funds launched in April of 2018 and in less than a year has raised more than $25 million in investment capital. The idea started in the sanctity of a dorm. Sam Yaffa, an undergraduate at California State University, Northridge, came up with the idea while with friends Nathan Yee and Yash Thukral. What started as a brainstorming session grew into a bold plan to make their mark on the finance industry. Yaffa, the only Matador from the three, and his friends decided to launch their enterprise in San Diego in April of 2018. Their organization, Triton Funds, took off, and in less than a year raised more than $25 million. 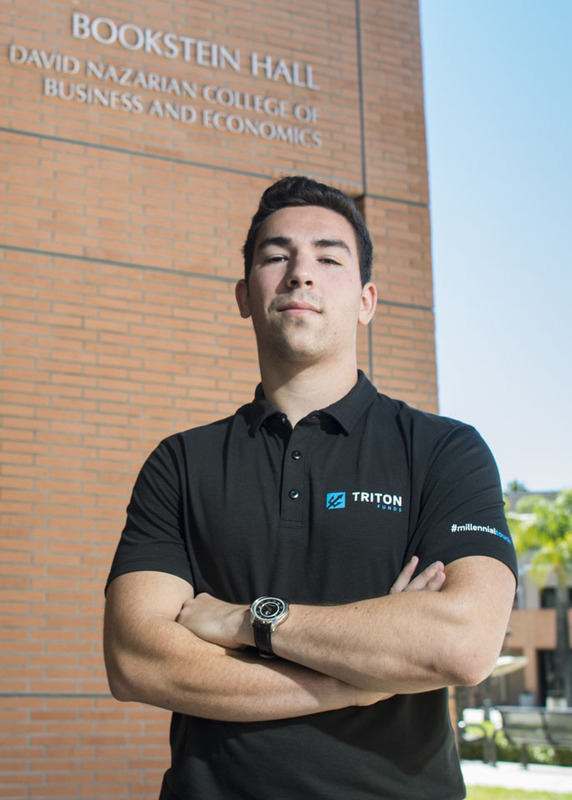 ​​Triton Funds is a student-run venture capital fund that provides investment strategies and techniques to public and private companies who seek expansion. Triton will help any business invest and grow, but specialize in life science and millennial-based companies. Many of Triton’s investors are alumni from UC San Diego, where Yaffa’s business partners go to school. Yaffa, a senior double major in business honors and financial analysis at CSUN, is only 21 years old; however, he already has amassed an impressive amount of experience in the business world. He has interned as a marketing assistant at Prudential Financial, a Fortune 500 company, and as a private wealth management intern at UBS, a Swiss multinational investment bank and financial services company. After one failed attempt, many would have been discouraged. After two, most would have quit. However, even on his third attempt, Yaffa’s ambition never wavered. What brought the three business partners together is a mixture of history and chemistry. Yaffa and Thukral have known each other since grade school, as both went to Granada Hills Charter High School, but went to different colleges. Yee, a student at UC San Diego, came onboard through fellow Triton student Thukral. What sprouted from friendship turned into hard work and dedication to the young investment company. A San Fernando Valley native, Yaffa has spent countless hours trying to grow his business to what it is now. When he came to CSUN, he decided he wanted to do more to tout California State Universities and their alumni in the business world. Triton Funds did not take off overnight. Yaffa and his colleagues spent two months trying to find its first supporters. This often included long nights and busy mornings, constantly cold-calling to try and fish-in investors. To balance their school schedule, Yaffa and his colleagues had to sacrifice much of their social time. Yaffa said that he has to constantly be diligent of his words or actions as one mishap might be the end of his brand, company and employees. The following months have since been a blur. Since its humble beginnings, the capital fund has been recognized by Forbes in a recent article. The company has more than 40 academic mentors, many from CSUN, and a life science advisory board, that help create a industry ecosystem for various industries. The group also draws from a network of professional and college mentors that offer business advice and techniques. A regular day in the Triton office is often casual. Yaffa likens their office culture to Silicon Valley. Music is often heard in the background, while “work attire” means sweats and T-shirts. Their headquarters is located in San Diego, with 15 student employees, who can get internship credit for the respective school, in the company. It was from a cold call that inspired Yaffa to create the company’s slogan, #MillennialTouch. Yaffa and Thukral plan to attend law school after their graduation in ​2020, while expanding Triton Funds and creating an environment that continues to change the finance industry. Yaffa and Thukral have their sites on many prestigious law schools such as USC, Pepperdine and Harvard.